51% of the traffic that brands receive on average comes from organic search and it is estimated that investment in SEO Services will rise by 2020 to $79 Billion annually. To make the most of this opportunity, brands usually partner with SEO companies to boost their present marketing efforts. A significant number of brands prefer outsourcing elements of their SEO work to agency partners. It is a necessary step for providing access to valuable insights and skills the company lacks internally, which makes it a very sound investment in the long-term. However, brands often find it hard to pick the right SEO agency since they are so many in number with each promising so much. It can be equally hard to get a clear understanding of which agencies are capable of delivering on the business objectives of the brand via organic search. SEO is open to a particular degree of interpretation and Google is notoriously opaque with regards to the inner operations of its algorithms, which is why people often rely on correlative studies to draw conclusions regarding what works and what does not. Unfortunately, the room for interpretation is easily exploited, which can make it hard to separate sophisticated SEOs to charlatans. Google actually acknowledged this challenge in a rare and newsworthy move and even tried to address it in a video. This video was from Google’s Webmaster team and provides practical advice to separate the so called “good SEO and bad SEO”. Google advises businesses and individuals to give an SEO expert no less than 4 months to make an impact, so you need to ensure that you are feeling confident in your choice. The tips discussed here come from experience working at SEO agencies and helping brands find the right agency partners and are guaranteed to help businesses make informed decisions. Striking the right balance here is of great importance; an effective partnership between clients and agencies demands input from both sides. Prior to unveiling a formal pitch process, it is important to determine what the requirements will be and whether your company will be in a position to meet them. 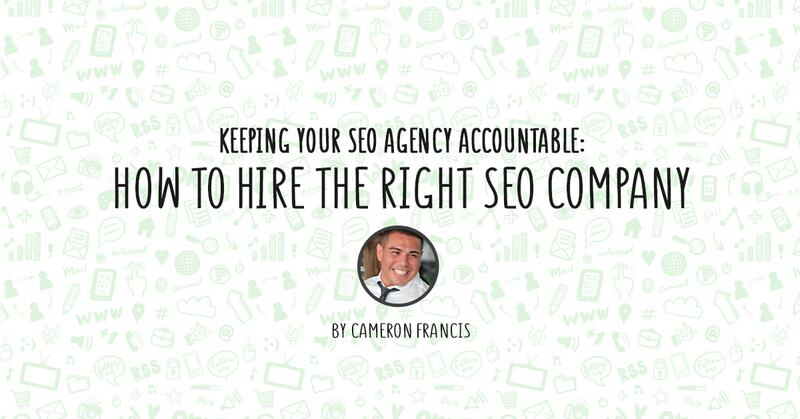 Finding the right SEO agency can be a daunting task. Often, businesses hire SEO agencies to gain access to advanced SEO knowledge in the exact quantity required to help out with the agency search. Brands often face the dilemma of choosing between many similar-looking agencies that all promise to have “reinvented” the agency model or having the only effective strategy. The unfortunate reality is that some of the SEO agencies are all talk and actually have nothing to back any of their claims. It can be quite costly to hire the wrong SEO agency and it can take time to identify the shortcomings of an agency’s strategies, which is why it is worth putting in the effort up front to define and assess candidates. It is important to first determine what your business would like to achieve via SEO before you ever start searching for an agency. If you do this, you will have an easier time coming up with a list of agencies and it will be equally beneficial when communicating with the agency teams. SEO has the potential to improve your customer retention, increase brand awareness, or just drive more revenue. Defining what your goals are can help both you and your prospective partner agencies develop the right SEO strategy. The search should start once you have this clear in your mind. Surprisingly, perhaps the worst possible way to start your research is by searching for SEO agencies on Google. The agencies that usually appear in the top positions might be demonstrating their ability to rank for important keywords, but most of the best agencies apply such efforts to help rank their clients’ websites instead of their own businesses. It is thus likely that anything you get from a general Google search will be inconclusive. This also applies to the paid search results for a similar search term. SEO agencies that rank via PPC only show that they are capable of using Google AdWords, but it does not demonstrate anything besides the agency’s need to sell its SEO services to you. It is important to have an opinion that you can trust, but that can be hard especially when it seems like all agencies have a vested interest in selling to you. Services Needed: It usually includes SEO Strategy, Technical SEO, Link Building, Content Generation, and numerous other services for big brands. Budget: SEO agencies can charge anywhere from a few hundred dollars monthly up to 6-figure monthly fees for complex, international projects. Agency Size: Brands may prefer using smaller SEO agencies while others may wish to work with large agency brands. Both options have their own pros and cons. Reputation: You can ask marketing industry contacts and colleagues to recommend agencies on the basis of the requirements that you have chosen above. Expertise:It applies to both SEO as a business as well as your specific business vertical. Agency Culture:Does the agency’s culture align with the values of your brand? Simply put, if you are able to cut through all the self-promotion and seek the opinion of a respected industry insider, that can be an excellent way to start drawing up your list of agencies to contact. Having a highly targeted view of SEO goals and an idea of the agency that you would like to work with can help expedite and refine the process significantly. It is generally advisable to have a discovery call with all the agencies on your original list to learn more about the agency and culture. From here, you are free to choose which companies you would like to invite to pitch for your company. Take all your decision criteria to create a scoring sheet that every stakeholder at the business can fill in. It will help eliminate some of the biases likely to cloud your judgement and levels the playing field. The pitch process sometimes feels like herding cats, so make sure that there are concrete milestones and reference points along the way to keep everyone organised. It applies both externally and internally. It is important to ensure that everyone in your business is aware of the expectations from the process, but the agency should also be aware of how long the process should last as well as what is to be expected from them. Pitching for new business demands a great deal of input from the agency team, which is why it is important to be transparent about things so that they are able to plan accordingly. It can even apply to letting the agency know the number of agencies in the running, providing details about what is to be required at each stage of the pitch and the dates on which the final decision will be announced. You need to keep several important tips in mind throughout the pitch as you try to settle upon the agency likely to make the best business partner. Can you organise a meeting with our account team? How do you ensure implementation of your technical recommendations and how do you measure their impact? What is your definition of a ‘good’ backlink for our business? Can you talk me through the first 10 days of typical engagement with new clients? Do you ever outsource client work to freelancers? If we sign up with your agency, how long do we have to wait before we start seeing results? 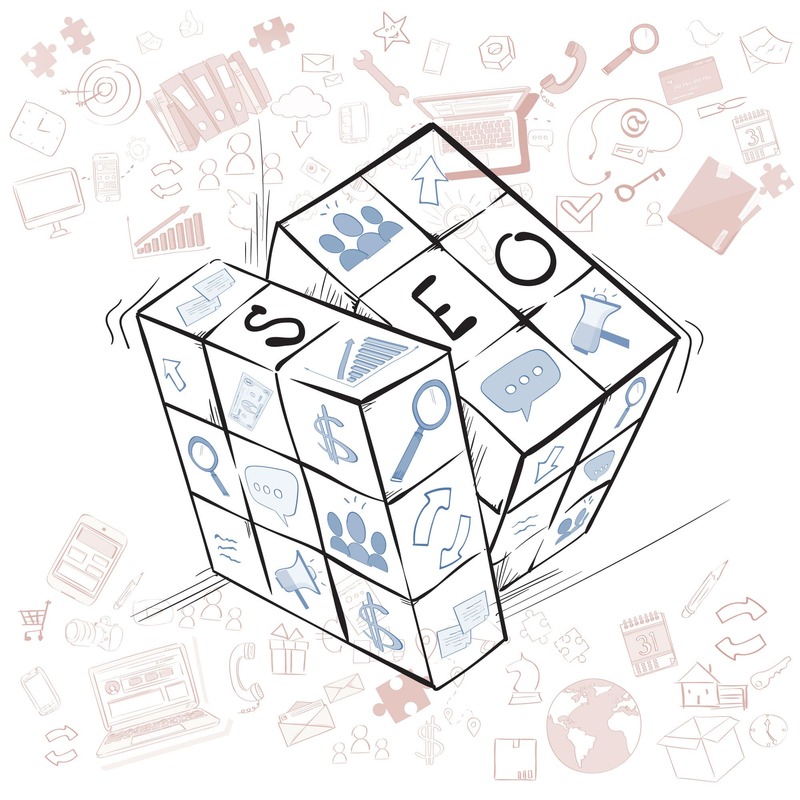 What role do you believe SEO plays in the wider business strategy? Do you believe that Google’s ranking algorithms weigh factors differently depending on the query’s nature? Have you ever had to push back on clients and how did you actually go about doing this? What if things fail to work out between our companies? How would you approach the situation? How many resource are needed from our end to ensure that this partnership is a success? It is important to ensure that the agency provides honest answers to the questions even if it means telling you something that you perhaps didn’t wish to hear. Relationships between clients and agencies sometimes involve constructive disagreements at times, which is okay if the agency acts in your best interests. Each agency usually has difficult conversations with clients and it is only the good ones that usually come out of such conversations with enhanced reputations in the long-term. Bad agencies usually end things on not very civil terms and often blame clients for their failures. It is also important to note the agency’s ability to face challenges with an open mind and think on their feet. Promises of Unrealistic Short-Term Results: It is possible to have ‘quick wins’ in SEO, but it takes time to progress in competitive industries. Take it from Google: a good SEO requires no less than 4 months of activity before delivering any sustainable impact. Be on the lookout for agencies that love outsourcing most of their work to transient freelancers. If an agency plans to do this, ensure that there’s full transparency on who will be handling sensitive data relating to your company. It is also important to watch out for any inflexible approach to disagreements, either in the anecdotes from previous clients or in your discussion with the company. Any references to ‘buying backlinks’ or anything remotely close to this should be grounds for disqualification of a particular agency. Agencies claiming to be capable of starting work immediately. If you would like the agency to offer many different services, the only instance when it can start immediately is when it is planning to under-deliver or the agency is really struggling for business. It generally takes at least several weeks to get an agency team in place for medium-to-large-scale projects. By the time a rigorous pitch process concludes, you will hopefully already have reached a unanimous decision regarding the most appropriate agency. Good SEO agencies out there are in plenty, which is why it is so important to have a clear understanding of what you need. If you combine this with a standardised approach to agency evaluation, you will have a clear framework for the ultimate selection. Once you rule out certain agencies, you need to let them know as soon as possible. Most agencies put in a lot of work into their proposals and it can be excruciating to wait for feedback. Even if you are delivering bad news, it is better that they know early on than wait around longer for an answer. You should then set up an initial kick-off meeting with the winning agency to introduce them to all the key personalities that will make the project successful.